Don't miss the best value at The Landmark! 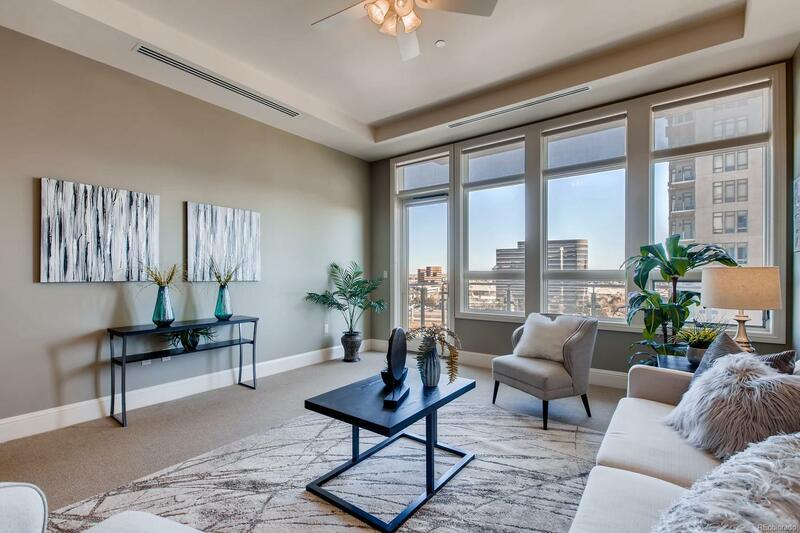 This east facing unit is primed for your personal touches or ready to be lived in as-is. Want an investment? This unit makes a great rental renting for approx. $5000/mo. It's complete with 3 large bedrooms, 2 with attached baths, and a master suite with its own balcony & large walk-in closet. The third bedroom, which also works great as large office, has its own bathroom conveniently located across the hallway. The kitchen boasts a gas cook top, GE Monogram appliances, and ample storage. The large living and dining area has a second balcony with a gas valve for outdoor grilling and views of the Cherry Creek Reservoir. Includes the use of 2 parking spaces, a storage locker and wine storage. The Landmark offers luxury living at its finest, with residents enjoying the use of two pools, fitness centers, hot tubs, saunas, steam, guest suites, business centers, theater room, library, party room, terrace patios with fire pits, and concierge services.